This is an excerpt from a guest blog I wrote for my friend Michael James Janowski. Check out his site for great content and my full blog post. I can’t say that I spend 3pm every Wednesday watching Ellen, or that I was among the first to download Beyonce’s latest album, but I’ve found myself thinking about these two celebrities quite a lot as I ponder what it means to be creative and effective in social media communication. On December 12, 2013 just after midnight on the east coast, Beyonce announced her self-titled visual album “Beyonce” for the first time, through a video on Instagram. It went on to be iTune’s all time fastest selling album in just 3 days. I hope everyone’s having a great weekend! Especially the people at The University of @Illinois_alma. Big things happening Monday. 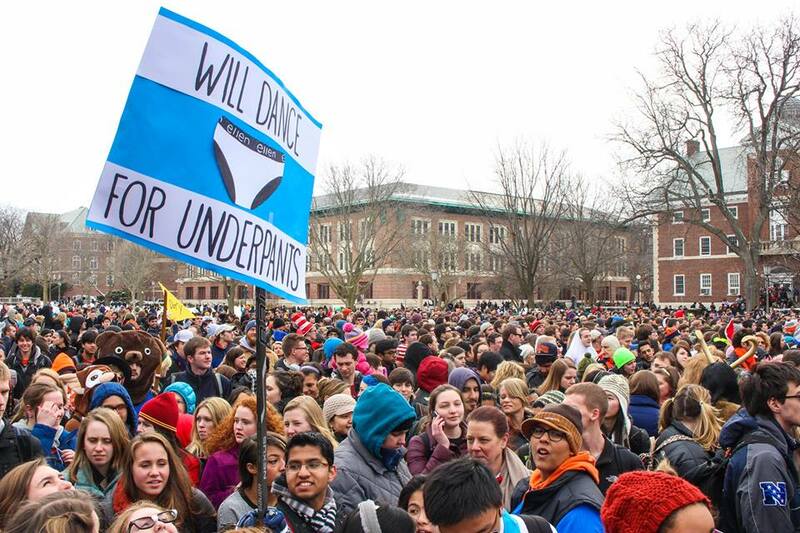 As a result, I found myself standing in the quad with University of Illinois students waiting for something Ellen-tastical to happen.